So as March draws to a close let’s have a look at some of the main talking points that happened throughout the month, there was some interesting developments with the hardware side of things as a very popular drum machine manufacturer said they would not be updating there flagship product, whereas on the other hand a reliable well-known cheaper alternative brand were discussing the release of their first hardware synth based on the MiniMoog! 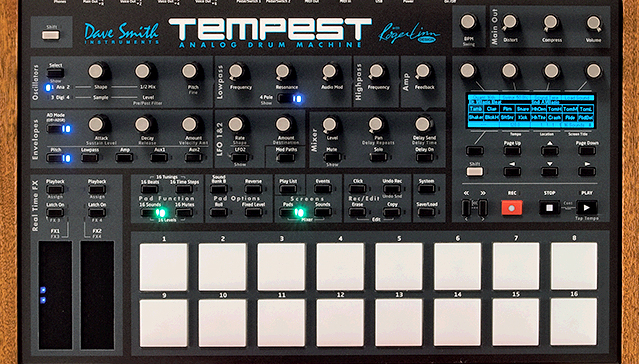 Dave Smith Instruments have decided to end their development of it’s Tempest Drum Machine after 6 years on the market. Writing on the DSI forums, Dave Smith himself said When the Tempest was first conceived, we never imagined the many you would ultimately put it to use. As such, over, time, we’ve done our best to add as many features as we deemed implementable within the Tempest’s technical framework. We’ve listened to you requests and have enhanced its operation, editing, and performance capabilities. Where there are still some minor bugs remaining, we’addressed the bugs affecting the Tempest’s essential operation and feel that it is stable, reliable, has abundant functionality, and is very fun to play.” They say all good things must come to an end and fans of the Tempest will know this all too well. There has been rumours going around the past few weeks that Behringer are going to be releasing a wallet-friendly clone of the MiniMoog, called the Behringer D. A desktop based module that can also be used with Eurorack. Behringer founder Uli Behringer said that it’s still just a concept at the moment, he wanted to throw the idea out and gauge a reaction to see if it would be worth following up with. I’m sure this idea will soon be followed through with, and at a proposed nifty $400 price tag it is substantially lower than that of the MiniMoog. I guess we will have to see what happens. . . watch this space! *UPDATE* This has been confirmed! Focusrite have dipped their toe in the iOS recording market with the release of the iTrack One Pro. The iTrack comes with one, combi-input for XLR or instrument jack connection so connecting a microphone or a guitar or bass is a breeze. Along with the classic Focusrite ‘halo’ input meter, and you can even send 48v Phantom Power to your condenser mics! 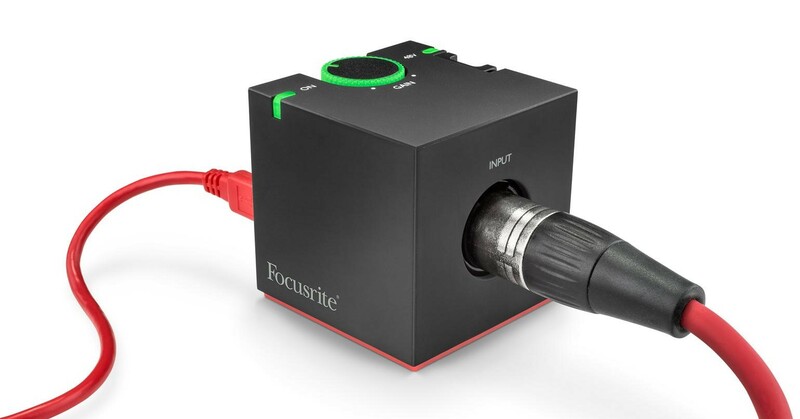 At around €120 it’s a great little device for any musician on the go, and as with all Focusrite products you the sound and build quality or the product is going to be of the highest quality. Oblivion Labs have released a chorus plugin that is based on the infamous Roland Juno-60 synth, adding rich, full and deep chorus flavour to your synths, bass and other instruments. Available for both Mac & PC in VST/AU formats you can get your copy of it here! Accusonus, after releasing their ERA-N noise removal plugin only last month are back again and this time around it’s with another easy-to-use single knob plugin. 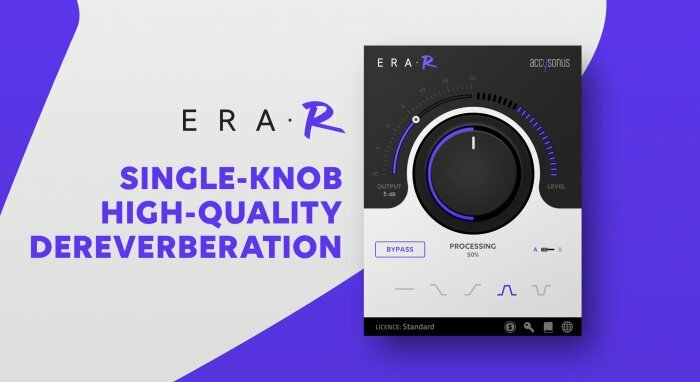 ERA-R is a de-reverberation plugin that will remove any unwanted reverb from an audio clip. This can be extremely handy for people recording podcasts or people who work with treating audio. Accusonus themselves say it works well on tightening up drums and acoustic guitars as well! At the moment you can get both ERA-N and ERA-R at an introductory price of $59, and you can get them here!